I just made this blog post on WindowsITPro.com. 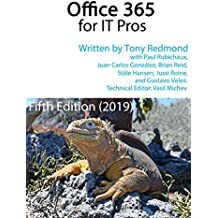 It reflects on some issues raised by Microsoft’s August 7 post on TechNet that explains that basic steps required to migrate an organization manually from BPOS to Office 365. If you are skilled with Exchange Server migrations and PowerShell scripts and can cope with losing email for a day (and maybe some data), then go ahead. But the strong advice to BPOS customers is to wait for the Office 365 team to swing into action and migrate them – eventually! This entry was posted in Cloud, Exchange, Office 365 and tagged BPOS, Exchange 2010, Office 365. Bookmark the permalink.